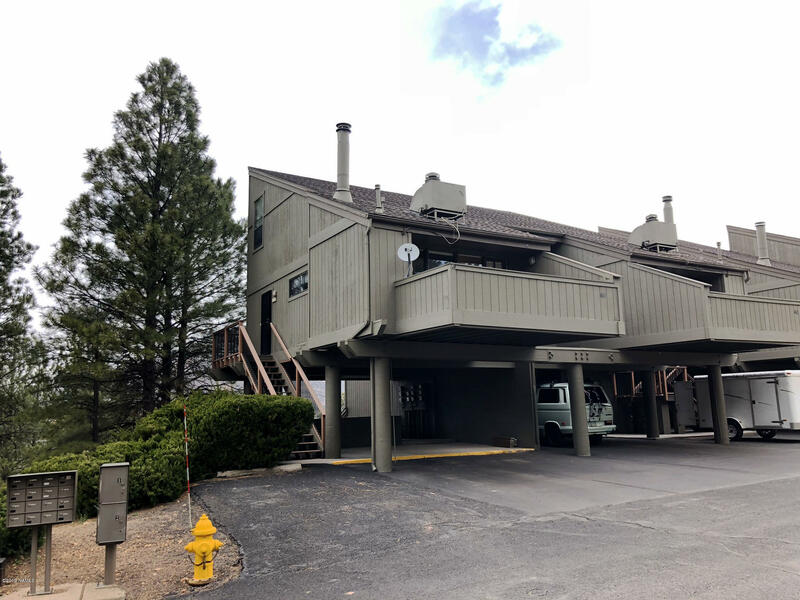 This one-of-a-kind condo in Tanglewood Villas is an upper left-end unit, with no neighbors below! Take in the breathtaking views of Mount Elden from the large bay windows in the loft or bask in the summer warmth while lounging on the private upper deck. The loft has been extended outward toward the living room and is enclosed with elegant custom railing, providing a unique space fit for an office, second living space, or second bedroom (closet already installed!). The exterior has been recently painted. New tile flooring has been installed in the bedroom. Enjoy covered parking for two vehicles conveniently located directly below the unit.